Next week, the United Nations will take over the Internet. Or, actually, it won’t take over the Internet, but it’s going to let the Russians take over the Internet. Or maybe it’s just going to poke the Internet with a stick. No, no, wait, that’s not right either… Nobody’s going to take over the Internet, but a bunch of “important people” from around the world are going to pretend like they know what’s best for the Internet, and all we can do is sit around hoping they don’t screw it up. Yeah, that sounds more like it. I’m talking, of course – of course – about the 2012 World Conference on International Telecommunications, or WCIT, which kicks off in the fun-loving city of Dubai on Monday, December 3, and runs through December 14. During WCIT (pronounced “wicket”), member states of a UN agency called the International Telecommunications Union (ITU) will talk about a whole bunch of complicated stuff that could, somehow, affect the Internet we all love so much. Problem is, the whole shebang is a giant mess. Worse, most of the filth is a secret – one of the many reasons people, Internet advocacy groups, governments, and companies are freaking out. 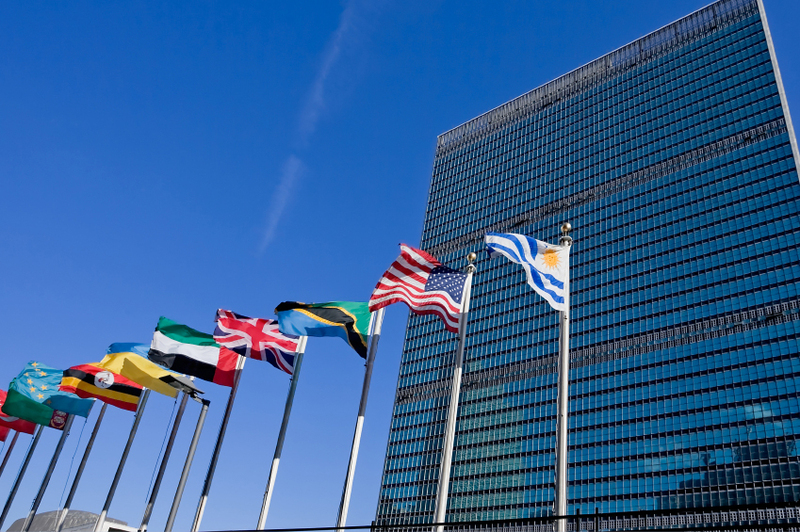 Enough dilly-dallying: Here’s what you need to know about the UN Internet takeover that isn’t. At this year’s WCIT, member states of the ITU will vote on changes to an old treaty called the International Telecommunication Regulations (ITRs). This treaty is what gives the ITU power over things like long-distance calling rates and other aspects of telecommunication. Because the ITRs was established in 1988, before the Internet was the all-encompassing colossus it is today, its language is vague enough that everyone is bickering over whether the ITU has any power over the Internet. Some say yes. Others say no. So the purpose of WCIT 2012 is to clarify what types of rules the ITU can make concerning the Internet. Over the past year or more, governments and groups of governments – the “Arab states,” the Asia-Pacific Telecommunity Administrations, etc – have been hard at work crafting proposals for how to change the ITRs. A big part of the controversy is that most of these proposals were kept secret – that is, until some rascally researchers at George Mason University’s Mercatus Center created a document leak website, WCITLeaks.org. Because of the documents leaked to this website, we now know far more about what might go down in Dubai. Like all treaties, the ITRs can be adopted by countries, or not. Because of this, WCIT will be a consensus-building event, with a version of the ITRs that most member states will agree to sign. But it’s entirely possible that some countries (like the U.S.) will choose to not sign the new ITRs. In which case, all hell will break loose – at least, that’s my understanding of the situation. One thing that could turn WCIT into some type of apocalyptic, Mad Max free-for-all is the fact that most countries think the U.S. currently holds too much sway over the global Internet. That’s because Uncle Sam has a whole lot’a sway. Mad sway. See, the primary governing body over the Internet is the International Corporation for Assigned Names and Numbers, or ICANN. This is the entity that controls things like IP addresses and domain names – the key components to the Web. ICANN is heavily influenced by the U.S. government, which maintains key powers over the non-profit organization. Not only is the headquarters of ICANN in Los Angeles, but the U.S. Department of Commerce has ultimate control over the underlying infrastructure of the Web: something called the DNS root zone, which includes the clusters of servers that make it possible for you to go to Google when you type google.com into your Web browser. In other words: The U.S. has the power to control the Internet at its most basic levels. Given that the Internet is a global network that has become crucial to virtually everyone on the planet, it’s not really surprising that most other countries would want to have greater say in how it works. WCIT is their chance to do so. This is one of those rare instances where nearly all interested parties in the U.S. want the same thing. Both the House of Representatives and the White House have vowed to oppose giving the ITU or any other governments more power over the Internet. So has the Internet industry, especially Google. And even many Internet advocacy groups, like the Electronic Frontier Foundation, Public Knowledge, and the Center for Democracy & Technology think the ITU should keep its nose out of the Internet’s business. U.S. organizations aren’t the only ones opposed to changing the status quo; earlier this month, the European Parliament voted on a resolution that directs EU member states to oppose any attempts to give the ITU or other governments more control over the Internet. The ITU is made up of world governments. So whatever happens at WCIT, it will be up to the ITU member states – all 193 of them – to decide which proposals make it into the ITRs, and which don’t. The ITU is at the mercy of these governments. Whatever Frankenstein they dream up will be the monster that crawls off the operating table. Not only do they decide on what changes to make, but the governments of ITU member states could also end up with far greater power to control the Internet – both outgoing traffic and incoming traffic – in their respective borders. Critics of the ITU proposals, like Google and others, say that proposed changes to the ITRs could allow repressive regimes, like China, Iran, or Russia, to censor Web content, and otherwise make the global Internet less open. The ITU itself says these fears are overblown. Of all the proposals ready to go on the table at WCIT, Russia’s (PDF) is causing the most outrage. (U.S. Ambassador Terry Kramer called the Russian proposal “shocking.”) That’s because Russia wants to take the powers of Internet governance and give it to the governments of the world – a radical change from the way things work now (i.e., the U.S. is effectively in charge of how the Internet works, at least on a technical level). Many of the concerns about what will happen at WCIT stem from the Russian proposal. According to Amb. Gross and others, the establishment of “sender party pays” could, at the very least, result in companies like Google deciding that it is not worth it financially to operate in developing nations that generate little in the way of advertising revenue. This in turn could result in these countries being kicked further behind due to a lack of access to the open Web we enjoy here in the U.S.
“The long-term impact would be to either shift significant new costs to consumers or lead to a global digital divide in which the large content companies stop sending traffic to uneconomic countries where the financial return from sending traffic is outweighed by the new transmission costs,” Geist wrote. At this point, nobody seems to know what is going to happen at WCIT. It really could go either way – and that seems to have companies like Google mighty worried. So if you oppose changing the way the Internet works right now, you can sign Google’s petition here, or the Center for Democracy & Technology’s anti-ITU letter here.